Remember “repeal and replace”? Conservative writers Ramesh Ponnuru and Yuval Levin do. In a New York Times op-ed, they note that the House Republican budget would repeal the Affordable Care Act but replace it with nothing that will substantially improve insurance coverage among non-elderly Americans. 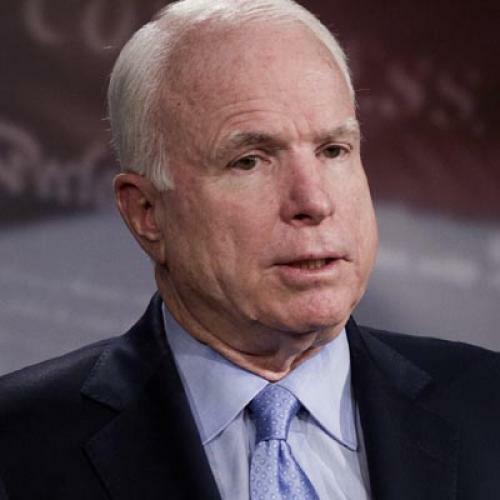 And while the writers acknowledge that forging consensus on alternatives is difficult, they warn that “Republicans can’t keep ducking through the 2012 elections.” Instead, Ponnuru and Levin urge, Republicans should embrace a modified version of the plan John McCain used in his 2008 presidential campaign. When it comes to health care policy, Ponnuru and Levin are definitely among the saner, and smarter, voices on the right. And their interest in actually helping people who can’t afford health care is commendable. But the McCain proposal had severe, fatal flaws. And this latest twist on it doesn’t really address them. The centerpiece of the original McCain scheme was a conversion of the existing tax break for employer-sponsored insurance into a tax credit, available to all Americans, for the purchase of health benefits. Instead of most people getting coverage through their employers, more and more people were to buy coverage on their own, until eventually everybody of working age got their coverage that way. Citing internal estimates, the McCain campaign suggested that its plan would result in 27.5 million additional people getting health insurance. That'd be a lot of people. The Affordable Care Act, for example, is expected to expand coverage by about 32 million, which is only a few million more. On the other hand, the McCain campaign's same internal estimate suggested that it would take around $287 billion in annual federal outlays to accomplish that. That would have been considerably more than the Affordable Care Act's outlays, which conservatives keep saying are outrageous. (Full explanation of the math here.) In other words, the McCain plan, by the campaign’s own estimates, would have done less and cost more than the Affordable Care Act. This alternative sacrifices some advantages of the McCain plan. It would not do as much to shift control over insurance to workers. They would have to stay in their jobs to keep their existing plans. But it would cut costs and help people the tax code now pushes out of insurance markets. And it would do so, critically, without threatening the insurance arrangements of the satisfied majority. Over time, this reform could help the individual market grow and become more attractive to more Americans. Voters might then become receptive to relaxed restrictions on using the tax credit to exit the employer market. Without more details, it’s hard to know exactly how this modified scheme would play out. (That’s not a dig at Ponnuru and Levin; 700-word op-eds don’t allow for much substantive texture.) But, in general, a scheme like this would do one of two things. One possibility is that it would make insurance more accessible for people who are both buying coverage on their own and healthy enough to find it in the existing market. That’s a perfectly fine thing to do; plenty of those people need the help. But it wouldn’t do anything to solve the basic dysfunctions of the insurance market, which not only makes it impossible for poor medical risks to get coverage but also make it difficult for people to shop intelligently. (For an explanation of why, see here.) And while it's conceivable such a scheme could result in substantially more people getting comprehensive coverage, it could only do so to the extent that it spent substantially more federal money. The other possibility is that the Ponnuru-Levin reform would do precisely what the McCain plan would have done, only more slowly. In other words, more and more people would move from employer health insurance to individual coverage. Ponnuru and Levin suggest that such a gradual change would be preferable, because it’d give people a chance to get used to the idea. But the problem with moving people from employer to individual insurance isn’t that it would rattle people's nerves. It's that it would leave many without stable, reliable health insurance. None of which is to say that getting rid of employer-sponsored insurance would be a bad thing. It wouldn't be. But it'd have to be done properly. If you want to take away the security of job-based insurance, you have to replace it with something just as secure or, ideally, even more secure. A single-payer plan would do the trick. So would something like the old Wyden-Bennett plan, which also replaced the existing tax break with a universal credit but also created a regulated insurance market in which everybody, regardless of pre-existing condition, could choose form among the same comprehensive policies at the same prices. Another alternative is to create such a regulated market strictly for people who don’t have employer coverage already, leaving open the possibility of a more wholesale transition to individual insurance later on. That’s what the Affordable Care Act would do. It's not perfect, for sure. But it's far better than both McCain's plan and this latest variation on it. Update: Matthew Yglesias makes the same essential points in many fewer words. So you might want to read him instead--although, if you've made it this far, I suppose it's too late for that.